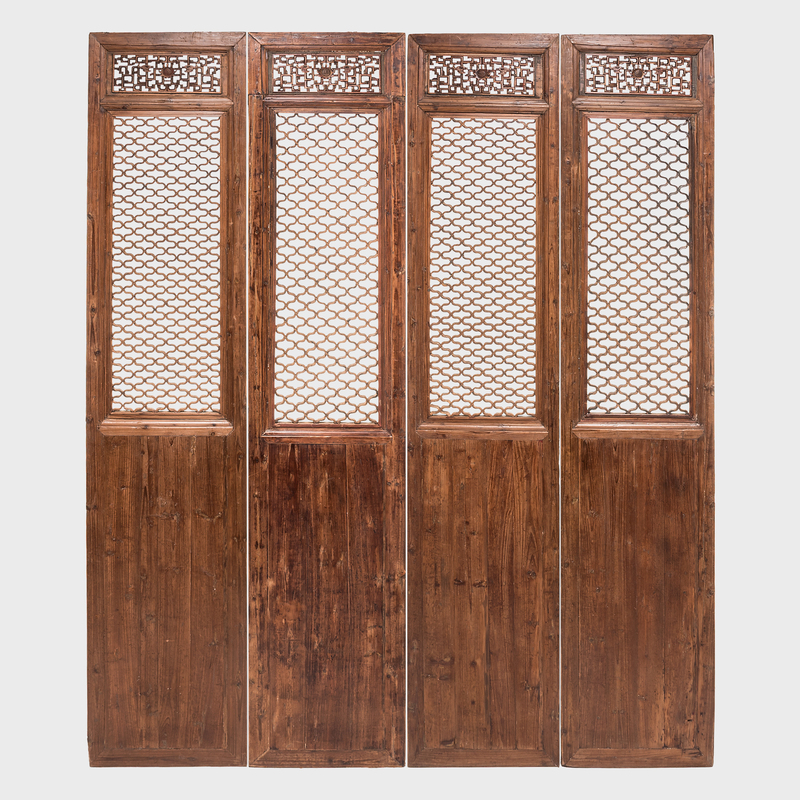 W: 21.0" D: 1.25" H: 107.25"
It is unusual to find such a fine set of twelve 19th century Chinese lattice panels hand carved from walnut. 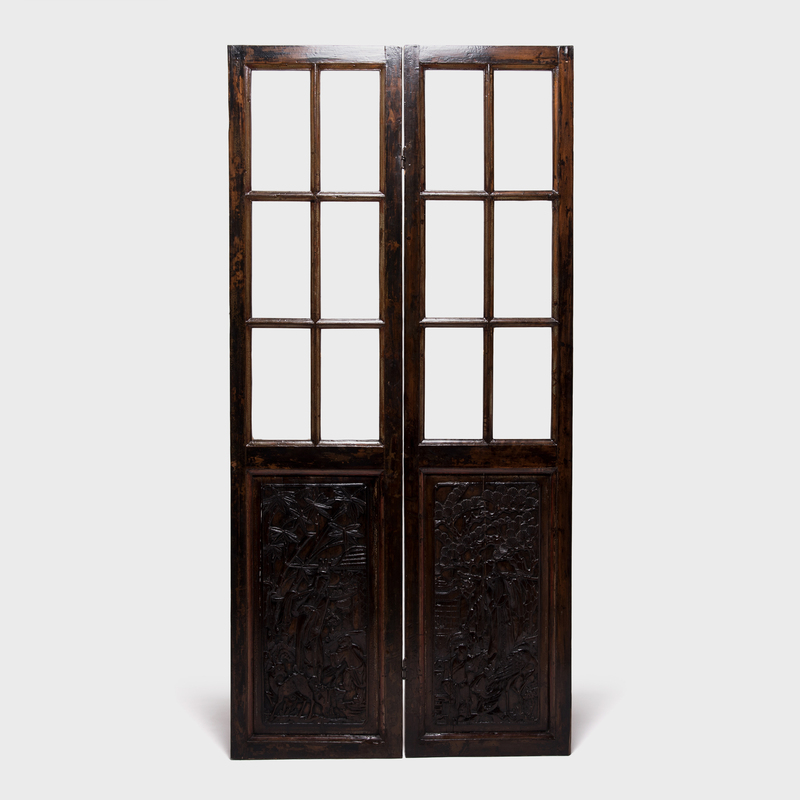 These are light and intricate and with such grand height, they would have been architecturally significant courtyard doors on a fine Southern Chinese home. 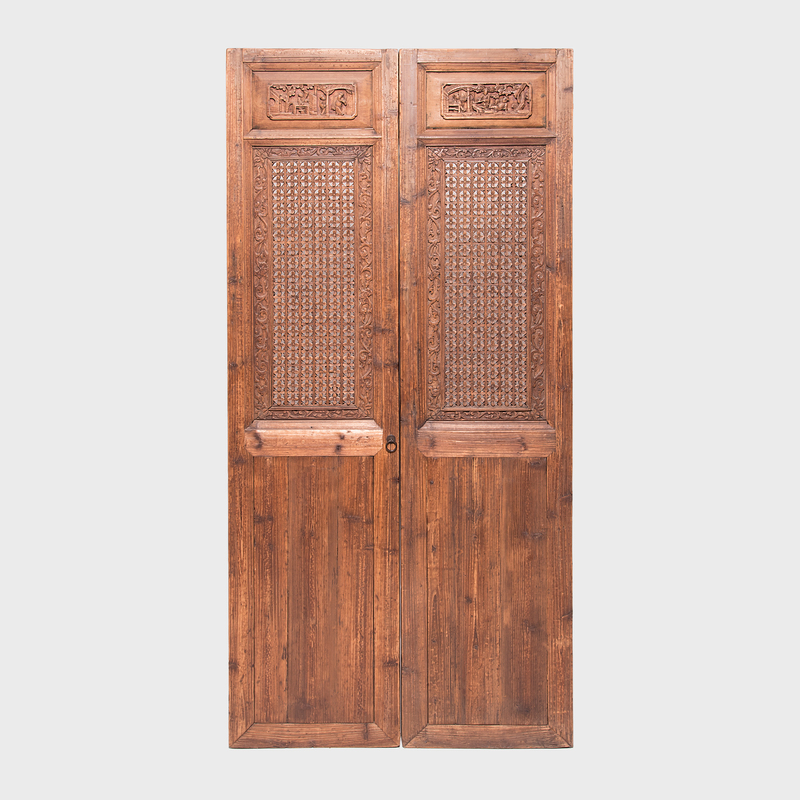 Each panel is individually carved with a different scene of scholars and attendants in garden settings—a window into life and culture at the time. We chose to modernize them with Utopia fabric by Pierre Frey. 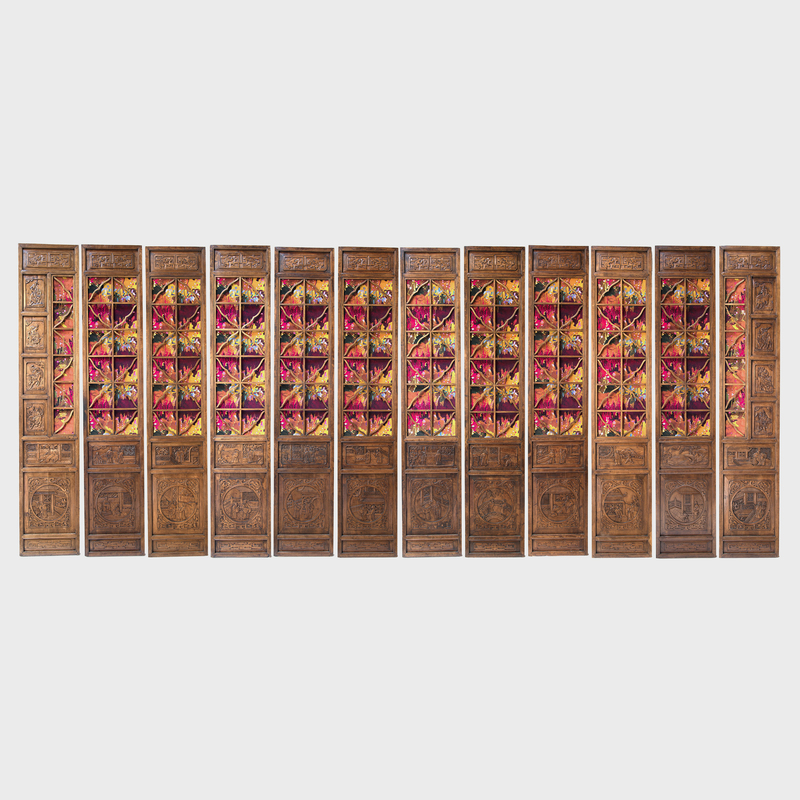 The abstracted blossoms in the pattern were the perfect modern reference to the garden settings indelibly carved beneath—together creating a completely sublime and current East-West garden. 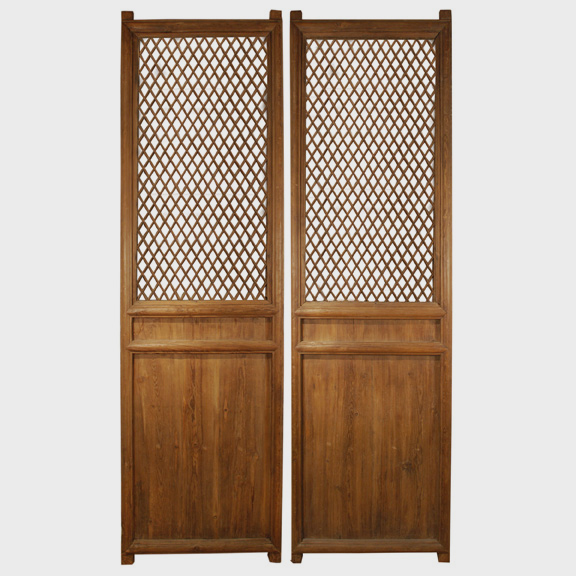 Dimensions listed describe an individual panel. Panels can be used all together as a dramatic backdrop or in smaller groups.